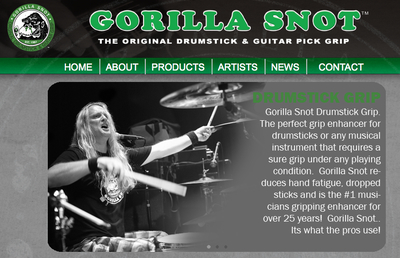 Gorilla Snot - The original drumstick and guitar pick grip. Note of interest: The owner, Joey Shapiro is somewhat of a friend of mine. He lives in Boulder and works at our favorite mexican restaurant as a bar tender. It is a family business and he is family. Joey is an accomplished drummer, you can see his image in the picture. He is a working musician and new owner of Gorilla Snot. Joey uses it every time he plays. And when the chance to buy the company came along, he bought it. Katzin Music - Durango's best music store. Note of interest: Scott, the owner has carried the Uncle Tim series for Guitar since the very beginning. If you are in the area, please visit the store or the website. Elderly Instruments - Another dealer that sells the Uncle Tim Series. Note of interest: You can always pick up a copy of Uncle Tim's First Year here. Guitar Site - Featuring links to guitar related sites.. Distance Education - An Educational Guide to Musical Instruments. Note of interest: Hi kids! Study hard!. Eric Clapton - The unofficial website.